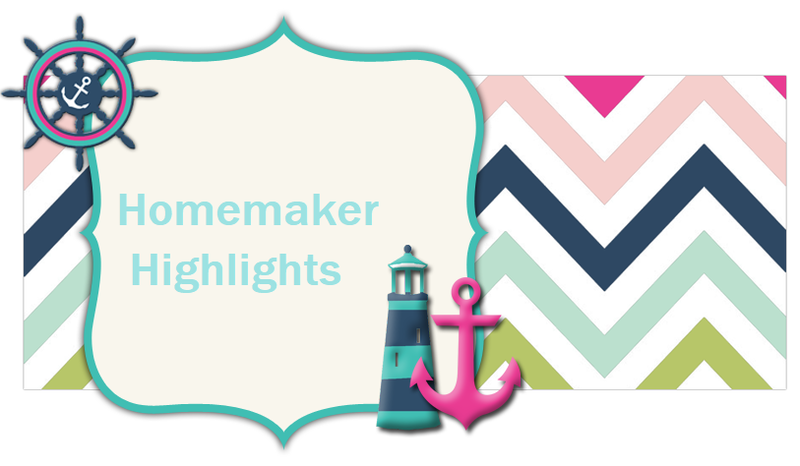 Homemaker Highlights: Late Spring cleaning and Freebies. Late Spring cleaning and Freebies. I apparently did not get the memo that it is summer yet:) I skipped right through spring and decided to do my spring cleaning during summer. Since last week I have been on a weeding out kick. I assume it is all the progesterone and other hormones working overtime in my body. Giving me that feeling of nesting and more energy than I have ever had. I started out by redoing our laundry room. I finished up all laundry and still working on shelves to store my food storage there. I put curtains up over the shelves to bring some more color into the room and then decluttered all the things that were not needed in there. I still will not understand why the previous owners of this house put up fake brick walls. I will never understand this...lol. It really is hard to do anything will as far as painting or even putting up simple border. I then made my way to our room and cleaned out our closet. That was a long time coming. We had been doing a family closet in the laundry room for a long time now. So I was using our closet for storage. Now that Lilly has a weird hanger obsession they really need to be where she can not locate them..lol. She takes the clothes off the hangers and then hides the hangers in her room. Other than that I have washed and scrubbed cabinets/walls with the magic eraser. I also cleaned off the hutch in our living room and washed our furniture covers. FREE poster http://www.hobbyfarms.com/registration/registration.aspx. You can earn points by doing different things on their website and redeem them for items. Go under my account and then click where you can redeem your points. You will then see two posters...one for a horse and one for burros. I am getting the horse poster for Doots. She loves horses!!! FREE sample of soap http://www.thelunacompany.com/our_products.html. At link you will find another link to email them for a sample at info@thelunacompany.com. FREE coffee tumbler http://www.caseoffers.com/index.cfm/fuseaction/login.main. CODE: CASETLC. FREE Mass cards https://secure3.convio.net/acn/site/Ecommerce?store_id=1361&JServSessionIdr005=pc388wrdr2.app306b and http://www.bluearmy.com/ymas_pmas/form.html. Just a friendly reminder...again... that Krispy Kreme will be giving out free donuts June 5!! !